Stumbled on this earlier and found it amusing. I have a feeling it was posted by a cop, as cops these days just wanna be bloggers (and bloggers just wanna be cops). All "official versions" have one thing in common: they are targeted at some fictitious man-in-the-street whose IQ does not exceed 55. Consider the Official Version of the sensational Altantuya murder which says she was probably killed by two off-duty cops at the instigation of a well-connected defence consultant and businessman. Nobody else was involved. If you buy this story, congratulations - you have an IQ that doesn't exceed 55! Well, I don't know who wrote this piece as the author chooses to remain anonymous, but you can read the entire entry here. 9/11: THE MOST RIDICULOUS CONSPIRACY THEORY OF ALL TIME! According to the ever truth-telling government of the US and the ever accurate US media, the 9/11 attacks were planned by a sickly man hiding in a cave who just so happened to be a "former" CIA employee. The attacks were then carried out by 19 Arab hijackers who, just by chance, lived next door to the Israeli Mossad and magically somehow at least 7 of them remained alive after crashing planes into buildings. This is, of course, because each of the living hijackers had eaten those little green 1-up mushrooms from the Super Mario brothers and upon their death they just came back to life on earth as extra men. Claiming that these men could not possibly have carried out the attacks just because a few of them are alive is absurd. The magical 1-up mushrooms explain everything perfectly. 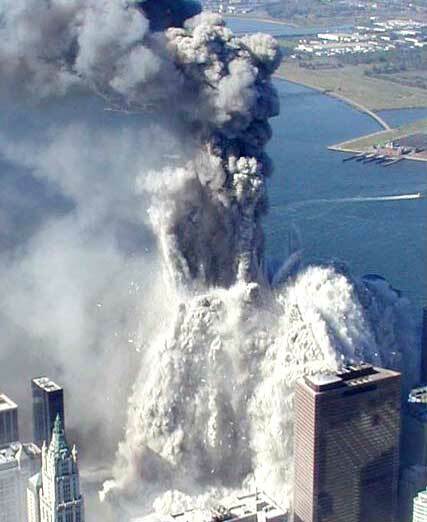 Next, two concrete and steel buildings which had been hit by airplanes burned near the top for about an hour and then suddenly fell straight down in a matter of seconds. Now we all know that Bin Laden was using a powerful genie to pull this off. You know all those bearded guys in caves in Arabia land have magic lamps and genies. Even though normally fire only burns and cannot break the laws of physics by causing steel beams to be cut at 45-degree angles thereby totally obliterating skyscrapers that were hundreds of stories high in a matter of seconds. Most fires also do not burn hot enough to leave molten steel in the basements weeks after the event... but with a magic genie it can be done IF it happened to be one of the three wishes every genie grants anyone who rubs his lamp. For more information on how this works watch the animated movie "Aladdin." They have the same funny hats and everything, so it's quite obvious. Now I know what you're thinking: the Genie says he cannot carry out a wish to kill anyone. BUT you see... Bin Laden found a loop-hole. He did not say, "Kill those people in WTC!" He said, "Explode the buildings and make them fall into their own footprints as if they were blown up by controlled demolitions." That way the genie did not actually kill anyone he just made some buildings disintegrate and it just so happened that the COLLAPSING BUILDINGS killed a few thousand people. It was from this loop-hole in the 'wish formula' that Bin Laden could achieve his diabolical plan using his self-reincarnating hijackers with magic mushrooms and super-fire that acts like bombs - including in a building that was not even hit by a plane! One thing nutty conspiracy theorists always bring up is the fact that the BBC said Building 7 had fallen when it was still standing. So what? Everybody knows that London, England, is 5 hours ahead of New York! As the BBC studio is in London, it had already happened THERE. Sheesh! Do we have to explain EVERYTHING to these conspiracy nuts? Now in the Pentagon attack they did not need super-fire because the building was already low to the ground so remote control software was not used. No, it was the mushroom-munching, self-regenerating pilots that went out of their way to create a trail of evidence pointing to themselves - including a bag with a list of their names written in a neat hand, a driver's license and even a fire-resistant passport. Later, anthrax letters linking the attacks to Israel's genocidal attacks against an indigenous Palestinian population in an apartheid state practising legalized torture and open ethnic cleansing, appeared in the press from addresses only 7 miles from Urban Moving Systems - a fake moving company that had been in and out of the WTC towers three weeks prior to September 11th. Were they a front for the Mossad whose agents posed as art students? No way! This in no way implicates Israel in the attacks. After all, we know the anthrax was stolen by a Zionist Jew former worker (fired for being racist) from a fort in Maryland who was caught on tape entering the lab where the anthrax was scientifically proven to have come from. The fabricated tape of dancing Palestinians and the content of the anthrax letters was pure coincidence. As were the drills of the exact same event as 911 being done the morning of 911 which in no way could act as a cover should things go sour. And the MSM running the unscreened bogus tapes about Palestine on the evening of 9/11 was nothing like their stupid reports on people wearing yellow stars in Iran or the Straits of Hormuz event. Oh wait. Yes it was. (P.S. RFK was also killed by a Palestinian and not the CIA; likewise his brother JFK was shot by a lone gunman with a magic bullet that could change direction in mid-air and even cause the president's brain to go "missing" the way Dov S. Zakheim "disappeared" 2.3 trillion dollars from the Pentagon's bank account. But it's not like Dov S. Zakheim was the investigator for the 1993 WTC attacks... ha ha ha... oh wait a miniute, yes he was! 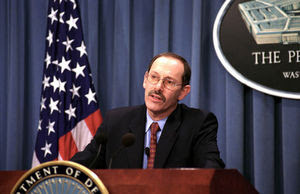 Dov S. Zakheim, Bush-appointed Pentagon financial comptroller from 2001-2004 under whose watch USD2.3 trillion disappeared. Zakheim also heads a research corporation called SPC International which holds the patent for Raytheon's Global Hawk remote controlled flight system. In 1993 Zakheim's firm Tridata took over management of the WTC security system. Zakheim is also a member of the Council on Foreign Relations and worked on the Project for the New American Century which advocates the necessity for a Pearl Harbor-type "incident" to mobilize the country into war with its enemies, mostly Middle Eastern Muslim nations. Intriguing, eh? The Israelis caught dancing on the scene who had 5k stuffed in a sock and drove a van that got a hit from bomb-sniffing dogs, who just so happened to work for the Mossad (and were filming the entire event because their ESP powers had informed them something spectacular was about to happen) were then released by the FBI run by a dual citizen Zionist named Michael Chertoff whose cousin works for Popular Mechanics and was part of the 911 cover-up. But that is all just a big co-winky-dink. Happens all the time you know. I often drive around downtown New York with a few grand stuffed in a sock in a vehicle with explosive residue and set up my camera to film terrorist attacks I have a hunch are about to happen; and then I dance like it's the greatest moment of my life. This is typical behavior, especially for people in covert intelligence agencies. Nothing fishy about that. They are innocent. It was not the guys in New York filming the event and celebrating, who just happened to work for an intelligence agency known for false flags. It was the dancing children in Palestine who did the attack. I mean, which is more plausible? Come on. Israel can't do anything wrong plus "it was on Fox News." Plus all the evidence linking the Israelis to the attack is "classified." "Classified" is another powerful magic word. It means do whatever the hell you want and obstruct any attempt to investigate properly. Later a pre-written 300-plus page bill was introduced by another Israeli dual citizen and got passed without even being read and then a new department called Homeland Security was created and the head honcho turned out to be the same guy who released the busted Mossad agents. Ha ha... pure synchronicity, you know. 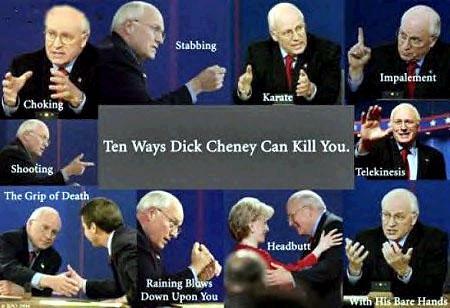 Cheney, who ordered NORAD to stand down, was NOT rewarded by a 3000% increase in the value of Halliburton stock. His wife, the president of Lockheed, did not notice that Lockheed won the largest war contracts in the history of the world. Cheney was not paid off or rewarded in any way, because that would cause unnecessary suspicion. Oh, and there were also no 'put' options on that day or the week prior. And President Bush's brother, Marvin, was not the CEO of the insurance firm that sold a multi-billion-dollar policy to Larry Silverstein, who leased WTC a few months before September 11th. I mean, how would all that look?! Oh wait. If it is not on ABCNNBCBSFOX then it can't possibly exist. In the immortal words of New Age Guru Karl Rove: "We create our own reality." Did I read this in The Star or NST? NOPE!